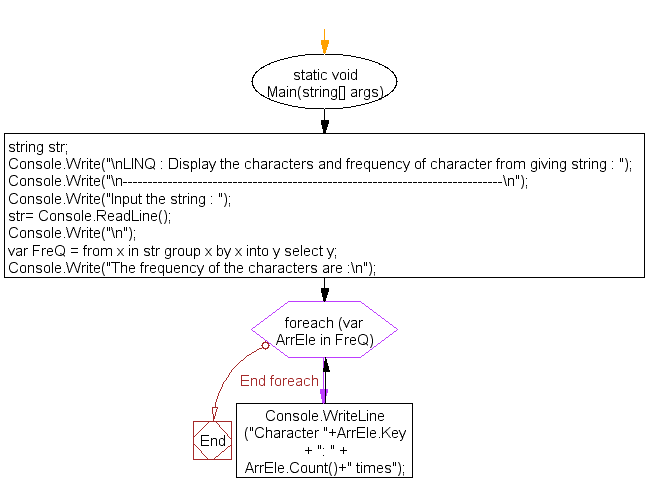 Write a program in C# Sharp to display the characters and frequency of character from giving string. Previous: Write a program in C# Sharp to display the number and frequency of number from given array. Next: Write a program in C# Sharp to display the name of the days of a week.